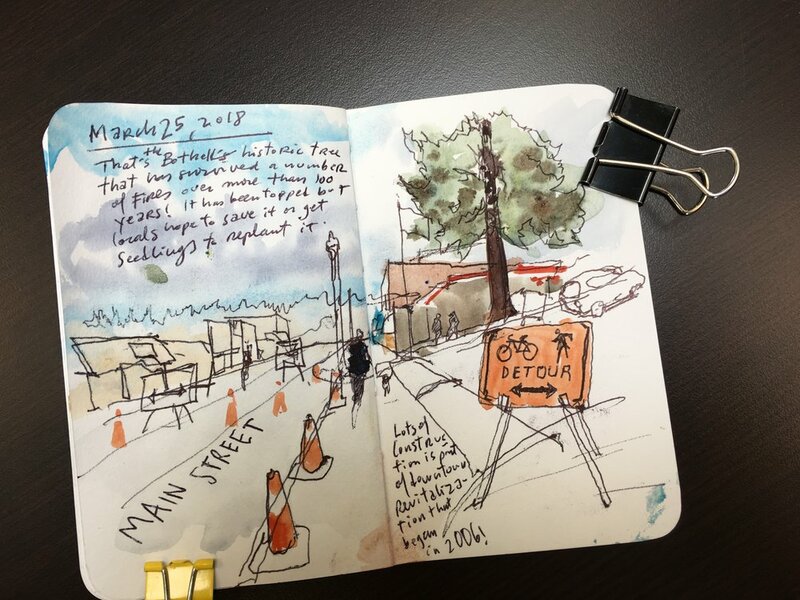 This weekend I attended Gabi Campanario's Urban Sketcher's workshop: Urban Sketching Bothell. What a great way to spend a few days! 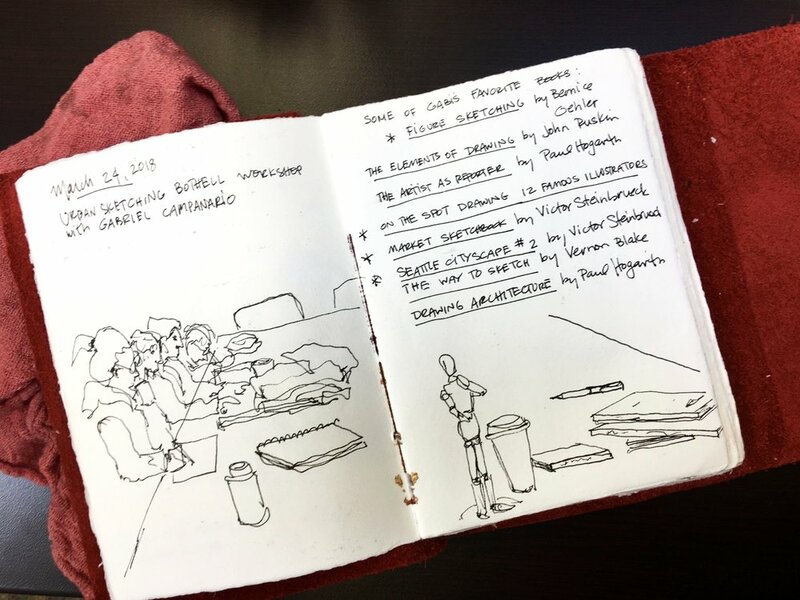 Gabi took the class through all the important elements of sketching: line quality, composition, values, and watercolors. Demos in class and on location. 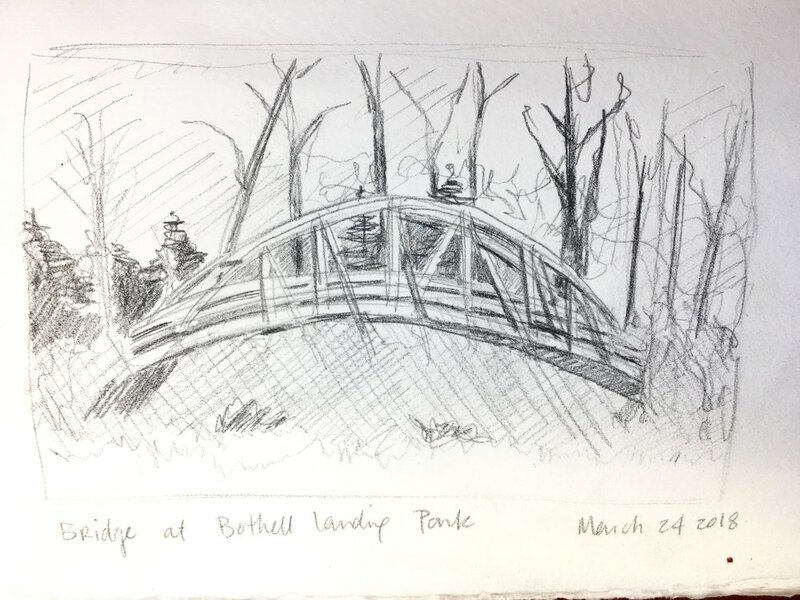 Here are my sketches from this fantastic weekend and a few photos from our time together. Thank you Gabi! And thank you to all the participants who made this weekend so great!